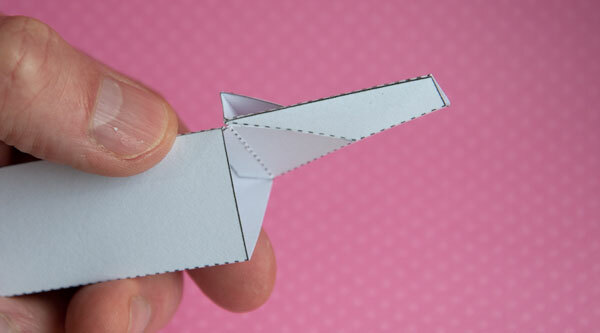 Paper Claw. 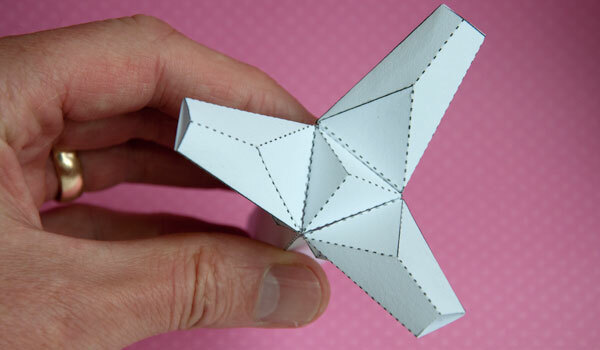 Prototype for subscribers to download and make. I've been thinking about a pose-able robot model for a while, it'll have bendy arms, mavable head, that sort of thing. I must have been thinking about it last night when I went to sleep because when I woke up this morning I had the claw all worked out. I know from experience that if I ignore these moments of lucidity they quickly evapourate so, just for today, I've set aside the escapement, my current main project, and spent the day putting together…. 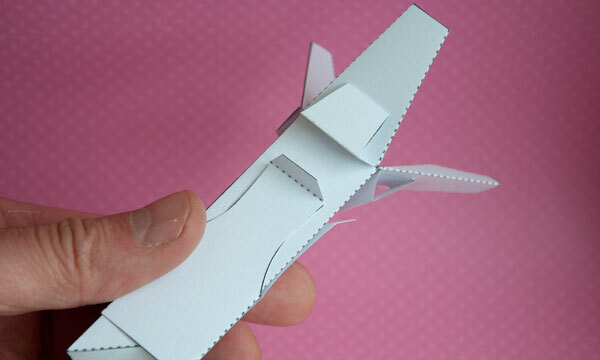 The Paper Claw! I've made the file available for members to download for free in the usual place. Have fun! 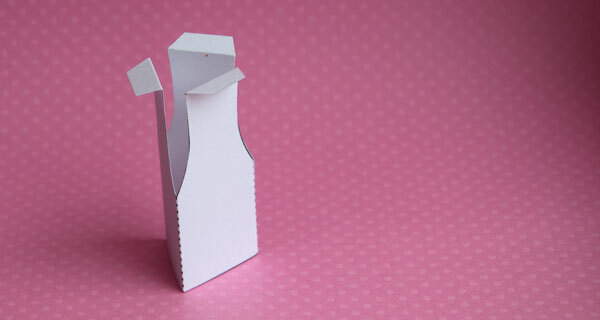 Print the single parts sheet onto thin card. (230 micron / 230 gsm – is there a different US unit for thin card? I know how you like your imperial units) Score along the dotted lines and cut out the parts. 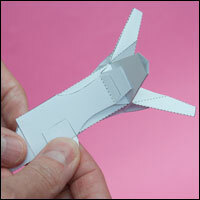 Fold up and glue together the main arm. Assemble each of the three claw parts as shown above. Notice that the tab sticks out and the triangular section at the bottome is made from valley folds. Make the triangular based pyramid. This will be the arm end cap. Fol round and glue the slider sleive. Make up the handle as shown above. Glue the tab on the first of the claws to the inside of the arm. Make sure that it is linied up accurately and is free to move back and forth. Repeat the process for the other two fingers. Thread the slider sleave over the arm. 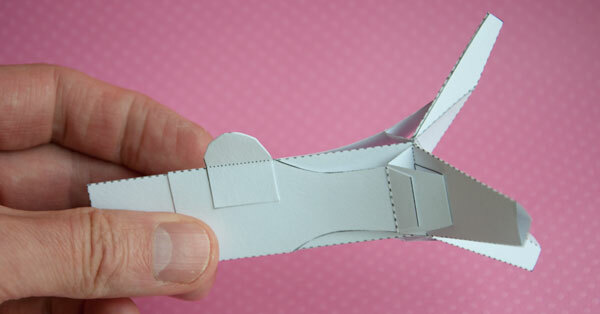 Complete the prototype by gluing the long tabs to the triangular sections on the fingers. That's it. 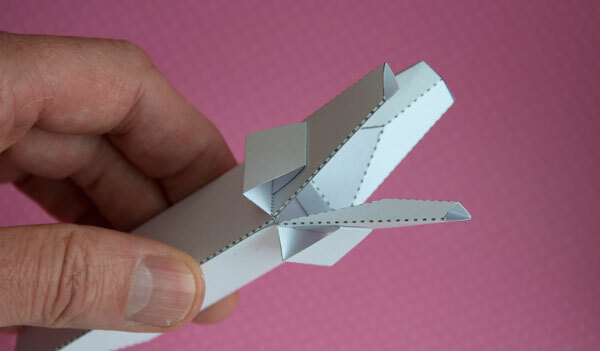 Go out and take over the worls with your paper claw! Oh no, is Rob clearing out lapsed members? 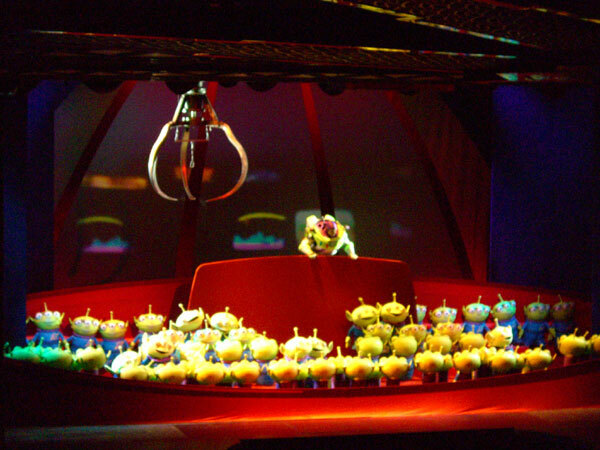 "When Buzz asks who's in charge, the aliens say 'The claw'. The claw belongs in the machine, the aliens say that the claw will decide who will go and who will stay. " Thought you might be interested in this, even before I knew you were making a claw. This is a different type. So inspiring for flowering thoughts! Hi Shelley, Funy you should say that, I was wondering how I could adapt this to make an opening flower. I'd like to make three petals open then another three in the gaps between them. Still working on that idea. ← Special Offer on Memberships and Membership Extra!